There's nothing worse than cold gravy and with Christmas just around the corner this thermal gravy pot from Judge Cookware is a must have for the kitchen. Having tested it, I know it really does work! The extra gravy kept hot well after the dinner was eaten. 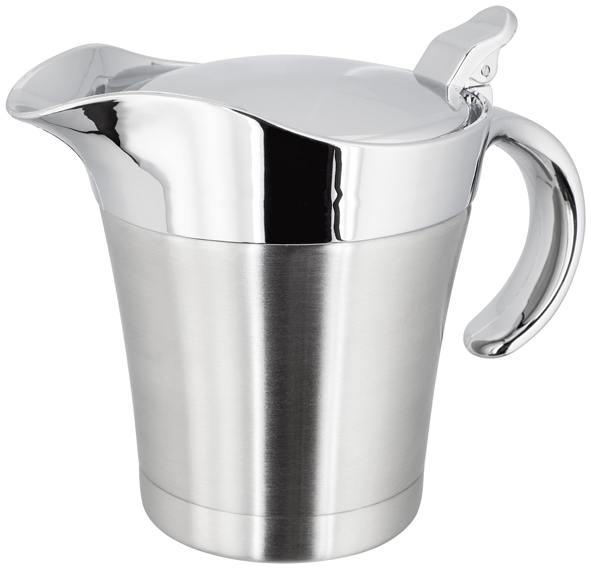 The double wall insulated serving jug keeps liquids hot as it works just like a thermal flask. Once the lid is closed your gravy will stay hot for ages. 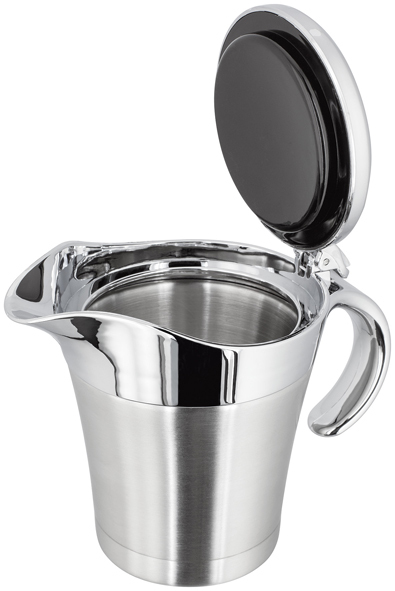 A nice looking pot with a 500ml capacity, it has an easy to use thumb operated hinged lid and a non-drip spout. Once the dinner is done and dusted, simply wash it up and use it to keep custard hot! Of course it's ideal for keeping liquids cold too, such as cream or milk in the summer. All in all I'd fully recommend this and the price is good too and is available over at Amazon. Thanks to Pam and Judge Cookware for sending me one to review.